Early Comic Con Exclusive Fever? Early ebay presales have already shown up on eBay for the Giant Giant 2007 Exclusive Bust. Gentle Giant plans to tour the world, releasing 5 exclusive clone trooper commander busts. February 10, 2007, Burbank, Ca. – Gentle Giant Ltd. is ready to take the world and collectors by storm with an unprecedented five-city worldwide tour. While traveling the globe, the company will make a special, exclusive Star Wars Clone Trooper Commander mini-bust available at each of the five locations. As amazing as the Clone Trooper Commanders are, Gentle Giant knows that a single exclusive does not a party make. So the company is offering multiple tour exclusives to go along with the specific location exclusives. The Gentle Giant Worldwide Tour 2007 Exclusives include a Yoda/R2-D2 Animated-style maquette and a special Bust-Ups 2-pack of Han and Luke in Stormtrooper armor. There will also be other exclusives at some of the five events, which will be announced soon. The Gentle Giant Worldwide Tour 2007 begins on May 24, 2007 at Star Wars Celebration IV in Los Angeles, Ca. and continues throughout the summer. Check the Gentle Giant web site at www.gentlegiantltd.com for tour updates and more information on tour exclusives. For more information and images on another just announced Gentle Giant Star Wars Celebration IV Exclusive - head on over to Starwars.com. "If meeting the MR staff is not enough incentive to get you out to the show, we’d like to take this opportunity to unveil the news of our 2006 Comic Con exclusive The exclusive will be a limited edition black chrome version of our highly anticipated Han Solo Blaster Scaled Replica. As an added incentive, there will be a very rare, randomly inserted chase version of the exclusive as well." For 2006, Gentle Giant is currently scheduled to exhibit at the following conventions with the exclusives announced. In cooperation with each show's management team, various measures will be in effect to insure equitable distribution and a safe environment for all attendees and exhibitors. Details regarding sales of any and all exclusive products will be announced on Gentle Giant's website at some point prior to the show. 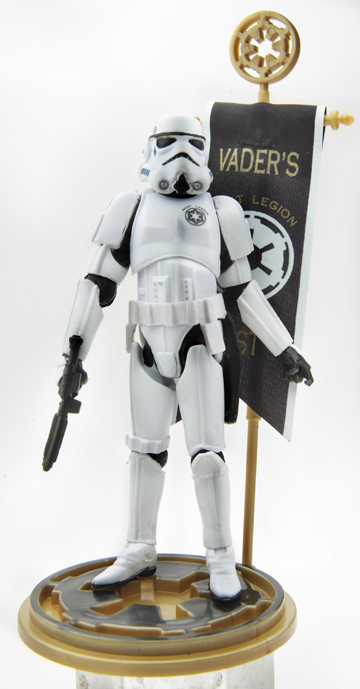 "Hasbro is making a 501st Legion action figure to be sold exclusively at the Hasbro booth at the San Diego Comic Con. 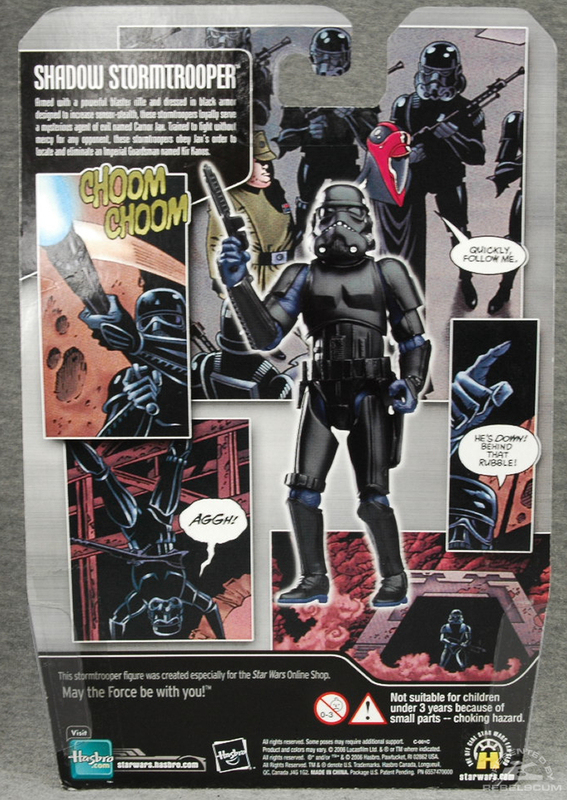 The figure will have "501st Legion" printed on its chest and include a 501st Legion fabric banner. What the figure doesn't show is the packaging. Assuming they haven't changed the design since we first spoke, the packaging will include a special trading card, using the 501st trading card artwork, that is removable without opening the package so you can insert your own trading card. It will only be available at the SDCC Hasbro booth for $15." The Darth Vader - Sith Apprentice 12-inch Figure will be Priority Pre-ordering first to Sideshow Newsletter members who will be attending the Comic-Con show (Attendees). This Priority Pre-Order for ATTENDEES will take place on THURSDAY APRIL 27TH 2006. If any items remain available for purchase after the newsletter member pre-ordering window, then these will be offered to non-newsletter members who are attending Comic-Con on the same day, April 27th 2006. The Darth Vader - Sith Apprentice 12-inch Figure will also be available for those collectors not-attending the show (Non-Attendees) to purchase. This Priority Pre-Order for NON-ATTENDEES will take place on FRIDAY APRIL 28TH 2006. 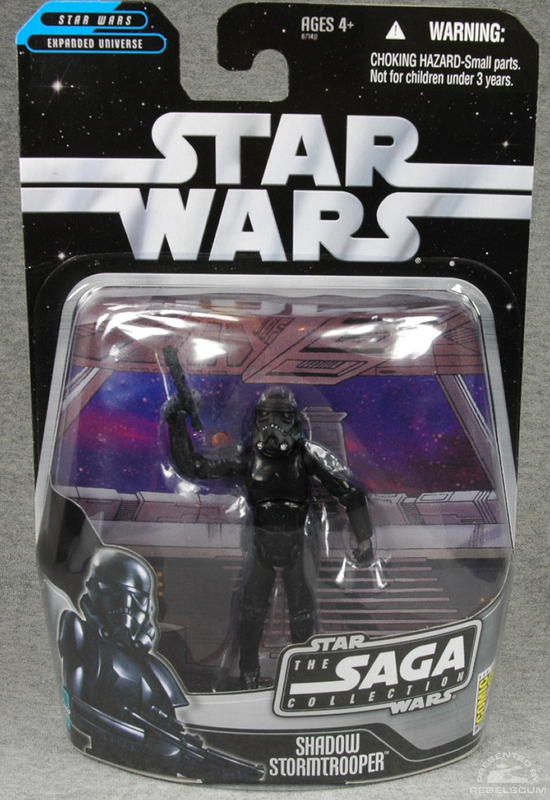 Rebelscum forum member ToysCitys has posted images of the 2006 San Diego Comic Con exclusive. 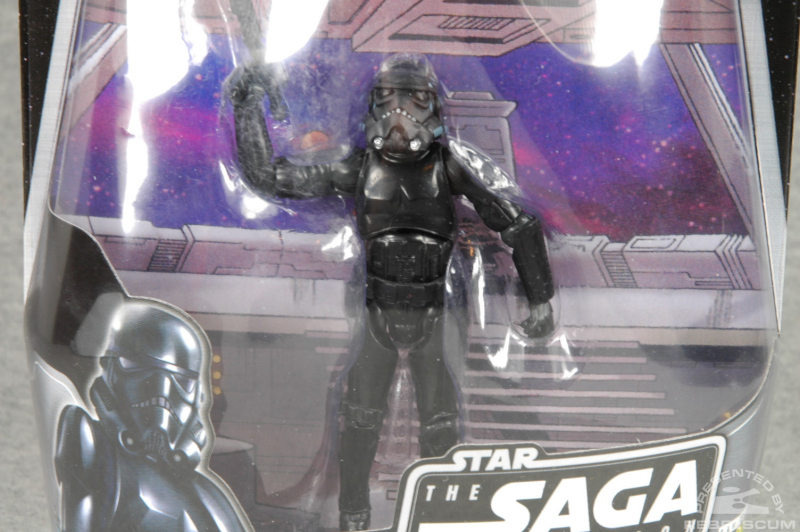 Click on the thumbnail above to see this Shadow Trooper, and then check out Rebelscum's Saga Collection forum for more shots!